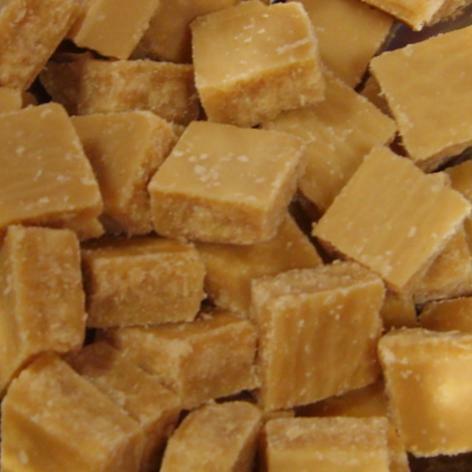 Sugary, crystally, crumbly delicious fudge. Made in Perthshire. comes in a bag of 100g from our instore jars. Ingredients: sugar, sweetened condensed milk, evaporated milk, cake margarine, butter, glucose fondant, treacle, potassium sorbate, E202, salt, vanilla flavouring.